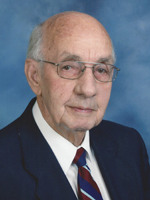 Kenneth W. “Buddy” Monday passed away on Sunday, December 23, 2018. He was born on January 19, 1936 to Clyde A. Monday and Aline Monday. He was predeceased by his wives, Shirley Monday and Marian Monday; his brother, Clyde A. Monday, Jr., and sister, Geraldine Kording. He is survived by his sister, Linda Hiatt (Mike) of Mt. Airy; stepchildren, Ava Pierce (Tommy) of Yorktown, Jan Eason of Hampton, and Michael Walker of Mt. Airy; Sister-in-law, Shirley Monday of Atlanta, many nieces and nephews, and his many friends of West Hampton Baptist Church. Funeral Services will be conducted at 5:00 pm on Friday, December 28, 2018 at Weymouth Funeral Home after which the family will receive friends. A Graveside Service will be held at 3:00 pm on Saturday, December 29, 2018 at Oakdale Cemetery in Mt. Airy. Arrangements by Weymouth Funeral Home.